Recently, I was able to lead a small team in a quick two hour design sprint competition. 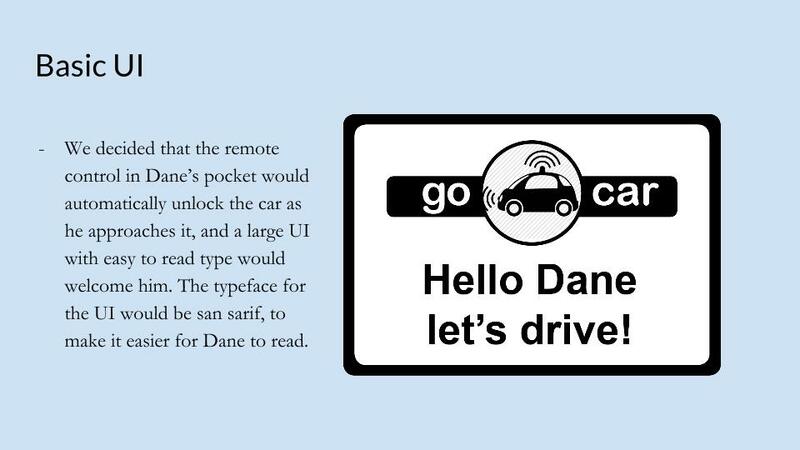 Our challenge was to create a self driving car UI for a user persona with low vision. I acted as the scrum master for our project, and presented it to our cohort. Ultimately, our team won the competition for the strongest solution presented.